Hard to believe that it is approaching the third week of April and we experience snow and freezing rain this morning! Fear not, Spring is on the way and we can now finally dust off the garden furniture and plan for your outdoor renovation projects. 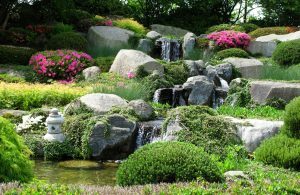 It is not too late to contact our design professionals at IVY Studio, a landscape design consulting firm based in Massachusetts to start your outdoor expansion project. We leave no stone unturned in our quest to create a one of a kind outdoor masterpiece for you, your Family and friends to savor through the fall. We design, manage and implement your dreams into an outdoor oasis encompassing design elements that seamlessly blend with your stylistic preferences, the home architecture and the topography of the land. From swimming pools and spas, outdoor kitchens, fireplaces, fire pits, pergolas, patios, walls and plantings with irrigation and lighting, let your imagination know no barriers and turn your inside out with a new outdoor living space this season. Spring into action and contact us at 781-591-0300 or vern@ivystudioMA.com to schedule your complimentary on site consult.